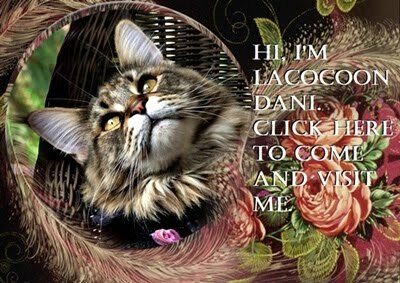 All About Lacocoon Dante: DANTE MAN'S UP! Like his sisfur Domino and brofur Dylan, Dante was something of a mad hatter! Here he is one year ago in June wearing an ivory and pink floral flatcap. He paired this with a dusty rose bowtie dotted with white flowers, and a silver Rolex watch with pink mother-of-pearl face. Dante was very secure in his masculinity, so he could sport any colour and still look like the powerful mancat that he was. Being a mancat is all about CATitude after all! 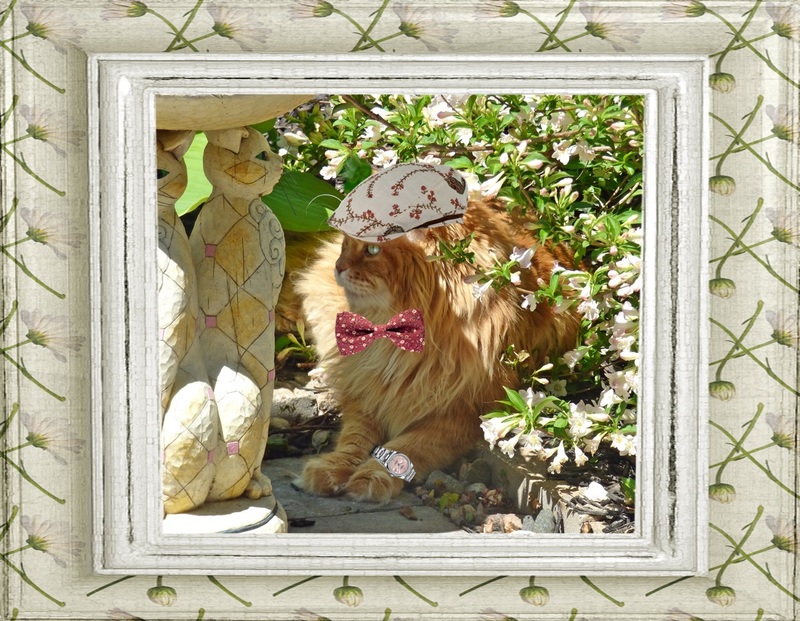 Dante always loved being in the garden, especially when the weigela bushes were in full bloom. There was something about their scent that intoxicated him. And if he hunkered down beside the birdbath, he never knew what juicy bite might land within his PURRview. Anything is pawsible and sometimes you just get lucky wherever you may be!